It was a nice and sunny weekend, so we decided to go for a nice sailing trip from Enkhuizen to Frisland side of the Ijsselmeer. So we took a Bavaria 40 and sailed out at evening from Enkhuizen to Stavooren, arriving at 3:30 in a morning. Here’s a list of 10 things one might gift to a minimalist for their birthday or a special occasion. Minimalists look to gain experiences over items. The below reflect this notion, where many minimalists enjoy and appreciate even activities outside of our comfort zone. Once again we did a weekend sailing trip. 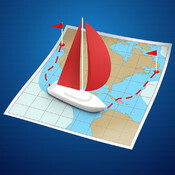 Her’s my thoughts and tips for what to bring and how to prepare for a weekend sailing trip. Mostly it’s applicable to Dutch weather and conditions. Nice weather came, so I’ve made a decision to do some weekend sailing. While my friend Bogdan was searching for some other crewmembers, I made a boat renting deal with a Windkracht5 boat renting company. We ended up 5 total people on Bavaria 32.